Faizanullah Faizan replaced Ghazni Governor Merajuddin Patan 200709. Faizanullah Faizan is resident of the lawless Andar district of Ghazni. 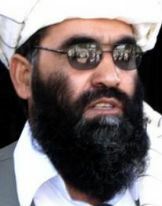 He was financial controller and now chief of the Band-i-Sarda project in the province and was commander of the Hezb-i-Islami of former prime minister Gulbuddin Hekmatyar in Andar district during the era of jihad. In the 2005 elections Wolesi Jirga and Provincial Council Elections Faizanullah Faizan bagged 8.095 ballots or 2.2%, he got no seat in the Wolesi Jirga. Former provincial governor for Ghazni province Faizanullah Faizan was injured following an attack early 20120824 morning. Fazlullah Faizan was going to Bazaar of Ghazni city when he came under attack of a Taliban. This event occurred in front of 3rd battalion gate of 203 army corps that morning. (20120824) The attack is linked to his support of the Heszb revolt against the Taliban in Andar District. (See also National Uprise Movement NUM).